Understanding the nature and capabilities of a process allows one to understand the information generated by the process, including what information can be produced by a process, and the nature of the characteristics of information. Processes generate information, with the information contained in the output of one process frequently being used as the input to a second process. 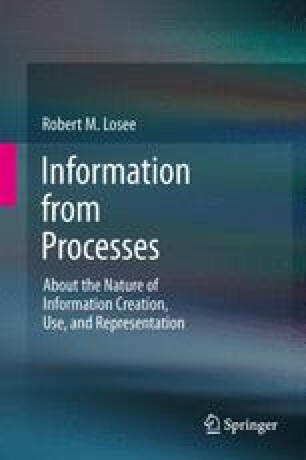 The nature of the information used by one process from the output of a preceding process is limited by the fundamental characteristics of processes.